7 Kids and Us: Have a Great 4th of July Party with Oriental Trading Co.
Have a Great 4th of July Party with Oriental Trading Co. I have been using Oriental Trading for my party planning for years. I love that when I need something for a specific holiday or event, that I can go to their site, search what I am trying to plan, and find everything I need in one place. I'm talking everything from matching tableware and toppers, to banners and signs, to games and prizes, even matching candy! This year we decided to have 4th of July at our house, and of course I went straight to Oriental Trading. I chose the Patriotic Hat Assortment for a couple of reasons. One, not everyone likes the same style of hat, so I knew if I had some fun choices, I would be more likely to get people to wear them, Two, the hats are such a great price at $24.99 for TWELVE hats! Three, how cute are we going to all be in hats for our photo opps this year! Kick off your next patriotic party with this spirited selection of hats. 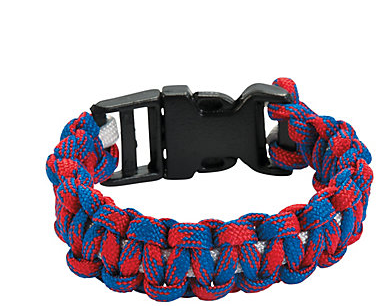 There’s a hat for everyone in this red, white and blue assortment! 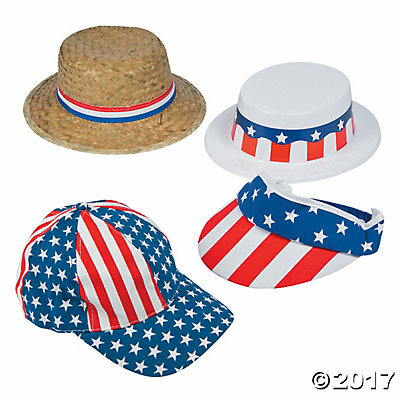 Add this festive hat assortment to your 4th of July parade or use them as patriotic photo booth props to capture the perfect look. Plastic, woven paper and fabric. Assortment may vary. I chose these lollipops because not only are they fun and festive, and the right colors for my party, but also a great deal at $4.28 for 24 pieces! These are going to be a huge hit. 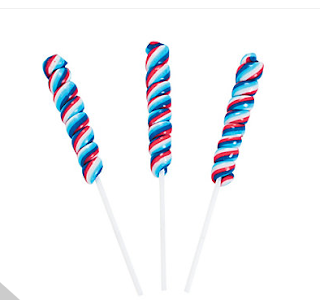 Patriotic Twist Pops. Begin your patriotic celebration with a sweet start with these Patriotic Twist Pops. Whether it's your annual 4th of July celebration or a political rally, these delicious treats will be a welcome sight to everyone in attendance. Each 3" cherry-flavored twist pop is on a 4" plastic stick. Individually wrapped. (2 dozen per unit) Total weight, 14 oz. Fat-free. I couldn't pass up these cute ring pops for just $3.28 a dozen! American pride can be so sweet! 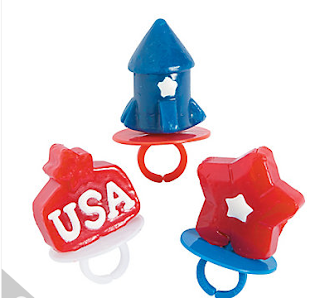 These sucker rings are great party favors for your 4th of July barbecue or Memorial Day celebration. Delicious in red, white and blue, this candy is a fun way to celebrate a patriotic holiday. Add them to your party supplies for holiday treats that both children and adults will enjoy! Blue raspberry and cherry flavors. 1 1/2" sucker on a plastic ring. Individually wrapped. Fat-Free. 7 oz. 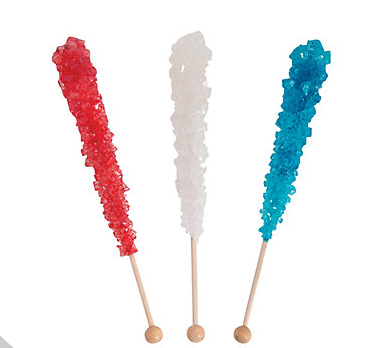 Almost like real streaks of fireworks, these Patriotic Rock Candy Pops are a blast from the past! As delicious and sugary as you remember, each of these rock candy pops is a classic candy no 4th of July should be without. Introduce a new generation to the joy of these unforgettable treats today! Each 4 1/2" sucker is on a 3" wooden stick. Strawberry, blue raspberry and plain sugar flavors. Individually wrapped. Total wt., 9 oz. I wanted a way to keep the kids busy, while the adults did some chatting, so I figured craft kits were the way to go! Patriotic themed, of course. Another fun craft, but this time one they can play with after they are done coloring! $11.99 for 12 balls! 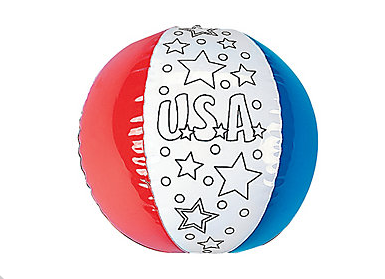 Add your own color to these vinyl “USA” beach balls! Fun to color at summer camp or day care, these red, white and blue all-American beach balls are perfect for a patriotic pool party or 4th of July backyard volleyball tournament. Inflated, 12" Permanent markers recommended, not included. I love these cups! 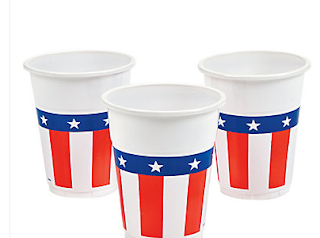 Why buy throw away cups for your party when you can buy these plastic reusable ones, your guests get a souvenir too! They are priced great at just $7.99 for FIFTY! This utensil holder makes the party SO much more festive! I love that it can be used for lollipops too! Throwing an Independence Day dinner or military homecoming event? 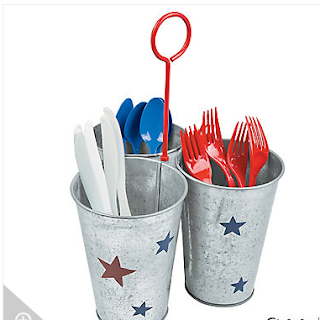 This utensil holder is a buffet table must-have for your patriotic cutlery! Stay organized and stylish when you add it to your American kitchen décor. It also makes a great wedding or housewarming gift! Metal. 8 1/2" x 9" x 13"
I just love that everything can match! These gold spoons were just $4.99 for 50! 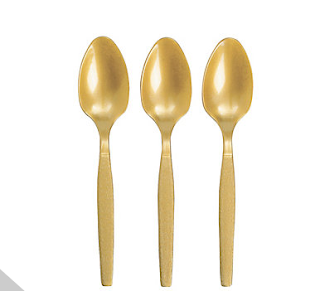 Our decorative and elegant plastic spoons are perfect for any party, bridal shower, wedding reception or special event. Their casual, yet classy look makes them the perfect addition to your party or wedding supplies. Our durable cutlery may be rewashed and used again or thrown away for an easy cleanup. (50 pcs. per set) 6"
I definitely recommend checking out all the 4th of July party supplies at Oriental Trading. I know I love to shop there, and am looking forward to the next holiday!